Not so long ago, social media analysis amounted to answering questions like “how many fans do we have on Facebook?” or “how many retweets did we get last week?” In its infancy, social media marketing was less about reporting, more about paying respects to King Content and potentially misleading vanity metrics. Fast forward to today and content is still king, but no self-respecting brand or agency comes to its court without bearing the gifts of social media information and analysis. Why? The simple answer is competition. As more and more brands have established a presence on social platforms, competition for attention has increased exponentially. At one time a post could be expected to reach almost all followers. Now, algorithmic filters and seemingly infinite posts combine to make it much harder to stand out from the crowd. According to Social@Ogilvy in its 2014 study of more than 100 Facebook pages, at its most dramatic organic reach for brands on Facebook declined 49 percent in just six months. Such significant drops require increased investment to keep communications flowing and visible, whether that means spending more time crafting content that resonates with an audience or simply paying for the privilege of reaching for them. It is no coincidence that the advertising options on popular platforms have surged in recent years. Today’s users see far more paid ads and promoted posts than they did even a few short years ago. As any marketing manager or agency representative knows, spending more money on any given platform brings with it extra pressure to prove that the approach is working. This is the burden of proof, and it becomes much easier to handle when the right tools are used to manage social media data and produce the kind of reporting analysis that clients and the C-suite demand. 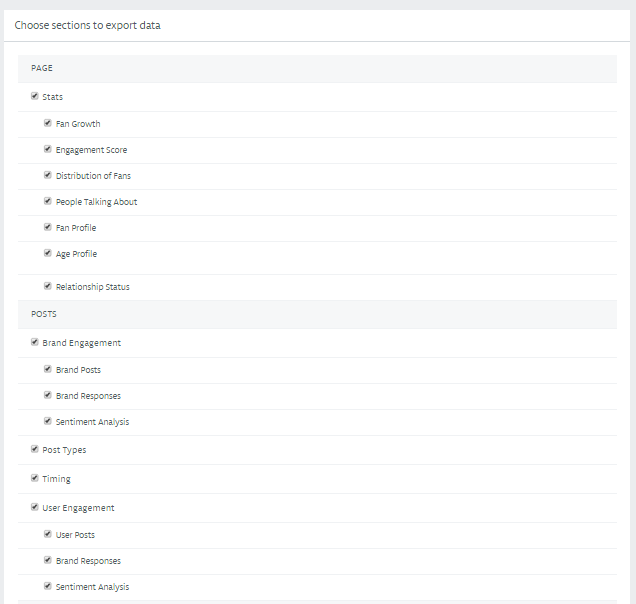 Unmetric offers in-depth and customizable reports across all of the 6 major social networks with a click of a button. Metrics and charts such as Engagement, Posts, Growth rate, Demographic data and more can be exported in both Power Point Presentation or Excel format in case you want to create your own analysis or presentation. What constitutes a suitable tool? That depends on a number of factors. A common misconception surrounding social media data analysis is that it requires the kind of computational power that would make IBM’s Watson look like a pocket calculator. In reality, it requires only enough effort to reach the numbers that tell a brand where it is currently, and where it needs to be in future. This can be sliced and diced in any number of ways, but an old adage holds true: what you can measure, you can manage. 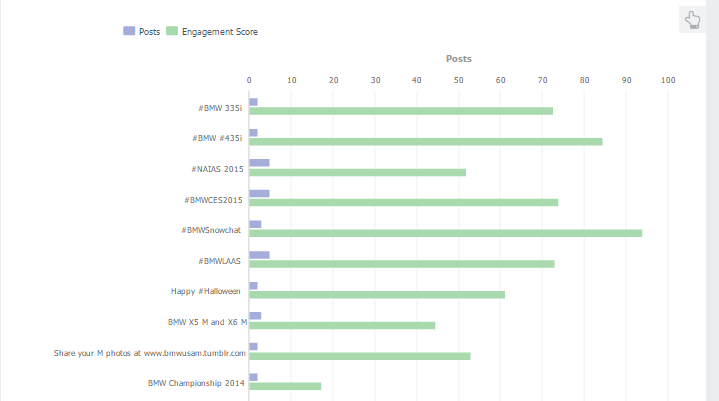 With the right tools you can measure almost every aspect of a social media campaign. An effective way to understand what to measure is to begin at the end; start with the desired outcome and work backward to identify its contributing data points. When these points are listed out, it becomes clear what kind of tools will be needed to obtain a complete set of data and to analyze the results. Social media management and intelligence platforms like Hootsuite, Percolate, and Unmetric can simplify this process without sacrificing any of the insights an analyst gains from crunching their own numbers. Customer retention rates of leads generated via social media. Deciding what to measure will be influenced heavily by the wider business objectives, which in turn are affected by the size of a brand and its position in the industry. An established brand will seek to secure its position at the head of the pack, for example. This means measuring campaigns to learn what most engages its audience, which content elements are underperforming, and where additional resources are needed. On the other hand, an emerging brand might opt to draw inspiration from the social media activity of major players in its industry and apply those insights to its own campaigns. Unmetric provides campaign intelligence where all posts and tweets which make up a campaign are tagged together and given an average engagement score. A brand can analyse how its campaign peformed in reference to the competitors. In the above example, it is important to understand what others in the industry are doing and if there are opportunities to improve or content gaps to exploit. This is where competitor analysis comes into play. Understanding what others in an industry across new media channels do and benchmarking against our own efforts is known as social competitor analysis. It is an important part of any social media campaign and can be applied to even the biggest brands, as this Unmetric analysis of a Starbucks Twitter campaign demonstrates. Unmetric has access to the social media performance of over 30,000 brands across all the major social networks and 30 of the biggest industries. 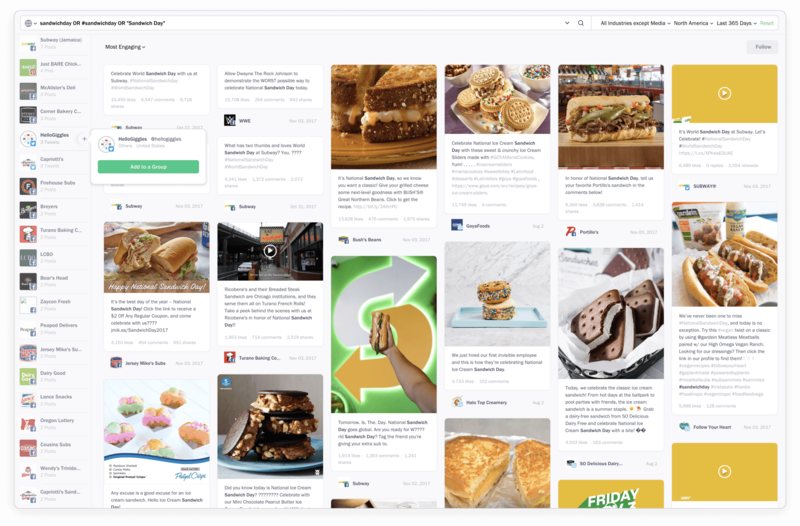 With the latest feature called “Discover” which acts a social media content search engine, Marketers can search for relevant content with a click of a button. Thankfully, not everyone has a rival the size of Starbucks to go up against, but the concept holds true for competitors of all sizes. With access to the right data, analysis can be undertaken and business insights drawn to inform strategy. Brands can zero in on the types of content currently making waves in their industry, while also interpreting rising trends to predict what will work in future and get ahead of the curve. This also applies to indirect competitors. The goal is to attract attention and engagement, after all, which means brands must analyze initiatives and compete across different industries to come out on top. Beyond the realm of personal or craft business, no brand big or small can expect to optimize its content without some form of social media measurement and analysis. From defining key internal metrics to benchmarking against the efforts of external competitors, using the right tools to track progress and refine results is the foundation of any successful social media initiative.